Many theatre professionals know little about the alchemical processes lighting designers use to get the ‘right light’ for productions. Nick Moran’s new book explores the ‘why’ of the craft with some top practitioners. 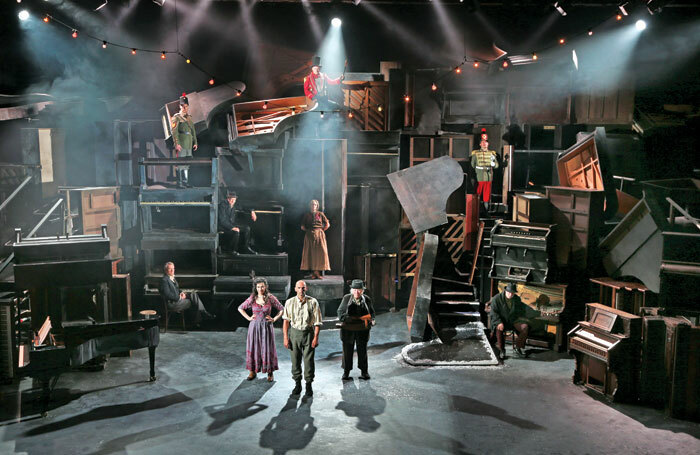 When working on the lighting design of a production, the end result is often quite different to that first germ of the idea, the spark that started it all off. Turns out, the same happens with books, especially ones that involve collaboration with 19 lighting designers. The Right Light began as an idea to pull together the thoughts of the country’s top lighting designers so the students I teach at Royal Central School of Speech and Drama could gain invaluable insights from the best in the trade. It turned out to be so much more. It emerged that it’s not just students who need a crash course in how a production is lit, but also professional directors and designers, producers, performers, writers and even chief electricians. Theatre is at least 3,000 years old, but stage lighting design as practised in the West is probably less than 100, though the UK’s heritage is particularly strong during that time. Yet during the course of the project, it became increasingly clear how little the rest of the creative team on the production knew of the research and thinking that goes into every choice a lighting designer makes. As the work developed it changed into considering practice across different types of theatre, and rather than being a technical manual, the ‘how to’, it wanted to explore the ‘why’. It wanted a non-technical insight into the process. The Right Light was born, and was published this year by Palgrave, with the royalties going to Light Relief, the charity established by and for the entertainment lighting industry to help in times of extreme hardship. The book seeks to answer that fundamental question: What is the right light for each moment of the show? It scrutinises the beginnings of the role of an LD, new practice and key issues in conceptualising lighting design. It asks the question: if light on stage is so important, how come it is so rarely written about? It then goes through the process with the input of the 19 expert lighting designers. The book reveals those LDs’ creative starting points, their priorities and how they make their aesthetic choices. It also asks what they think of as good lighting design. Unlike many colleagues in the creative team, lighting designers can rarely try out their ideas on stage, and often the first steps are during the tech. While the designers can work on the model box or in virtual reality and link the digital model to the lighting desk, it is not really the same thing. Making those choices can be a daunting process. Lighting designers feel very exposed. Mark Jonathan, an international lighting designer for opera, ballet and drama who has also delivered masterclasses on lighting to theatre directors, compares the LD’s feelings on the first day of technical rehearsal to “dancing naked on a table”. Peter Mumford, who has won Olivier, Helpmann and Green Room awards for his lighting design, says the newer wave of directors expect the lighting designer to bring something creative to a production. But exactly what form that creative partnership takes varied across the 19 designers I interviewed. Some have little interaction with the directors. “I have worked with particular directors because, well, I tick a box. For Trevor Nunn or Peter Hall or anyone like that,” says Paul Pyant, who has worked for venues including the Royal Opera House, the National Theatre and on Broadway. This lack of input or dialogue with the director does not stop Pyant creating some achingly beautiful and poetic lighting designs but, as he says, it is an old-fashioned way of working. For Ben Ormerod – whose award-winning work covers theatre, dance, opera and musicals, including the recent Woyzeck in Winter, which opened at the Galway International Arts Festival – there is a need to get inside the text and understand the metaphors the production is using. Once in the technical rehearsal, the job is then to make technical choices that are informed by that understanding of the production’s metaphors. Paule Constable, who worked for Ormerod, has recently lit three shows running at the same time at the National Theatre. She works on a production by working out the structure of the play and drawing a storyboard noting what the light needs to do in each scene. She gave an example of how the lighting design on the 2011 production of the Friedrich Schiller play Luise Miller was structured, and how the lighting dealt with the title character’s home life, the oppression of the political court life and her sexual life at court. “You think: ‘What are the signposts the audience needs to sustain that?’ Well, the landscape of her home life has to be simpler than court life. And the court life has to be oppressive, and dominant. And then there’s the sexual life. 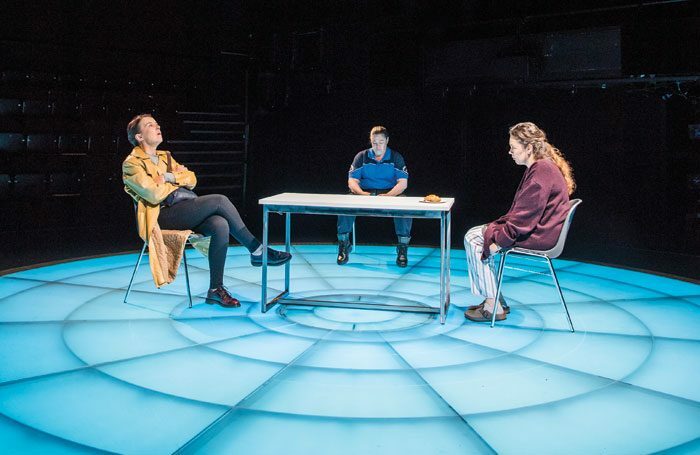 So the metaphor actually starts within my way of thinking about those [three sorts of scene].” Her lighting in the production was picked out by Guardian reviewer Michael Billington, who said it was “consistently ominous”. It remains a collaborative process, with Natasha Chivers using the analogy of being the drummer or bass guitarist – rather than the lead singer – in a band. The ones who set the pace. A successful LD tends to be a polymath, combing technical and dramaturgical understanding with people skills and concentration. Paule Constable says: “You have to be someone others want to [have] dinner with”, since the team will be working so closely together.